Kyle McEntee is an attorney, public policy expert, and technologist who is nationally recognized for his role in American legal education. Kyle has served as Law School Transparency's executive director since 2009, when he co-founded the organization with Patrick Lynch. Since that time, he has emerged as a key figure in American legal education, publishing scholarly articles, issuing reports, and speaking at conferences and seminars on the need for reform. He is a frequent commentator in the press, having been quoted hundreds of times in the world's most reputable news organizations, including the New York Times, the Wall Street Journal, Washington Post, Economist, NPR, and others. He has written columns in Bloomberg, the National Law Journal, ABA Journal, Above the Law, Inside Higher Ed, and elsewhere. Kyle is a licensed North Carolina attorney with a J.D. from Vanderbilt University Law School and a B.A. in Philosophy from the University of North Carolina-Chapel Hill. He is a special advisor to The Pipeline to Practice Foundation, an organization committed to enhancing diversity in the legal profession by supporting and nurturing diverse law students and early-career attorneys at key stages of their academic and professional development. He is the chief programmer behind LST's innovative web-based tools, which are accessed for free by over 200,000 users per year. His work as a web developer has played a major role in making the fruits of LST's advocacy efforts accessible to the general public. 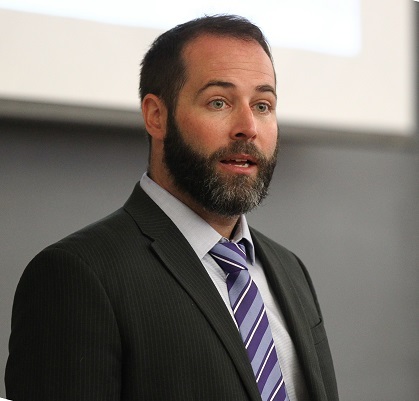 His work in legal education has been nationally recognized by a number of organizations. While still in law school, he was voted Lawyer of the Year by readers of Above the Law. The ABA Journal named him a Legal Rebel for his work "challenging the institutional gatekeepers of the legal profession" and the National Jurist has named him the 5th most influential person in legal education. At age 27, the National Law Journal named Kyle to its list of the 100 most influential lawyers in America, the youngest ever on the list, which has been periodically produced since the 1980s. I Am The Law features lawyers from around the country discussing their jobs so that students can better understand what the practice of law is really like. The show launched in January 2015 and is one of the largest and best-regarded podcasts covering the legal profession. Women In The Law is a mini-series released in Fall 2016 about the challenges women continue to face in the legal profession. Kyle McEntee is the executive producer for both shows. Patrick is an environmental attorney, writer, and public policy advocate. He is a Louis Bacon Environmental Fellow at the Center for Public Leadership at Harvard Kennedy School, where he is pursuing a Mid-Career Master in Public Administration. He was raised in Reading, Massachusetts and lived in Chile for eight years, where he holds permanent residency. In Chile, Patrick supervised nonprofits and developed environmental coalitions focusing on water conflicts and public policy. As an environmental advocate, Patrick writes and speaks about policy issues including climate change and river conservation. His nonprofit work has been recognized in the press, including Forbes, Outside Magazine and Chile's La Tercera newspaper. 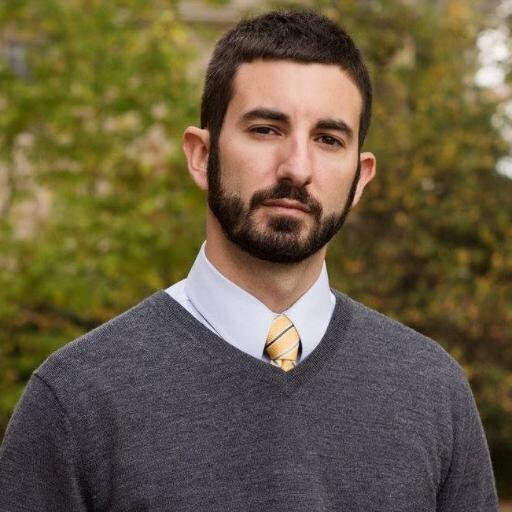 His legal scholarship has been published in the Pace Law Review (with Kyle McEntee) and the University of Michigan Journal on Law Reform (with Kyle McEntee and Derek Tokaz). Patrick holds a B.A. in Economics and English Literature from Fairfield University and a J.D. from Vanderbilt Law School. He is a member of the World Commission on Environmental Law and an Executive Committee member of the IUCN-WCPA Transboundary Conservation Specialist Group. Sam is Corporate Counsel at Cox Automotive in Atlanta. Previously, he was a civil litigator specializing in securities regulation and professional liability at Sutherland Asbill & Brennan in Atlanta. He holds a J.D. from Vanderbilt University Law School and a B.A. in Philosophy from Georgia State University. Sam is admitted to the Georgia State Bar, United States District Court for the Northern District of Georgia, and the Eleventh Circuit Court of Appeals. 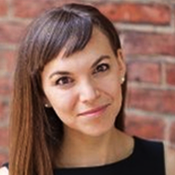 Julia is the CEO and founder of Hire an Esquire, a company reimagining legal staffing. 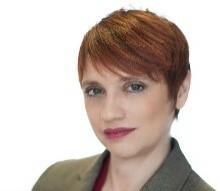 Julia's route to a traditional legal career was redirected when she was sidetracked and then intrigued by the contract attorney world and those that occupied it. 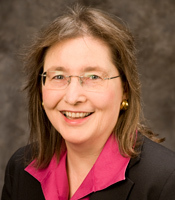 She has previously been an adjunct law professor, AMLaw 200 contract attorney, and subject matter expert for a consulting firm's legal clients. She holds a B.A. from the University of Southern California and a J.D. from the Temple University - James E. Beasley School of Law. 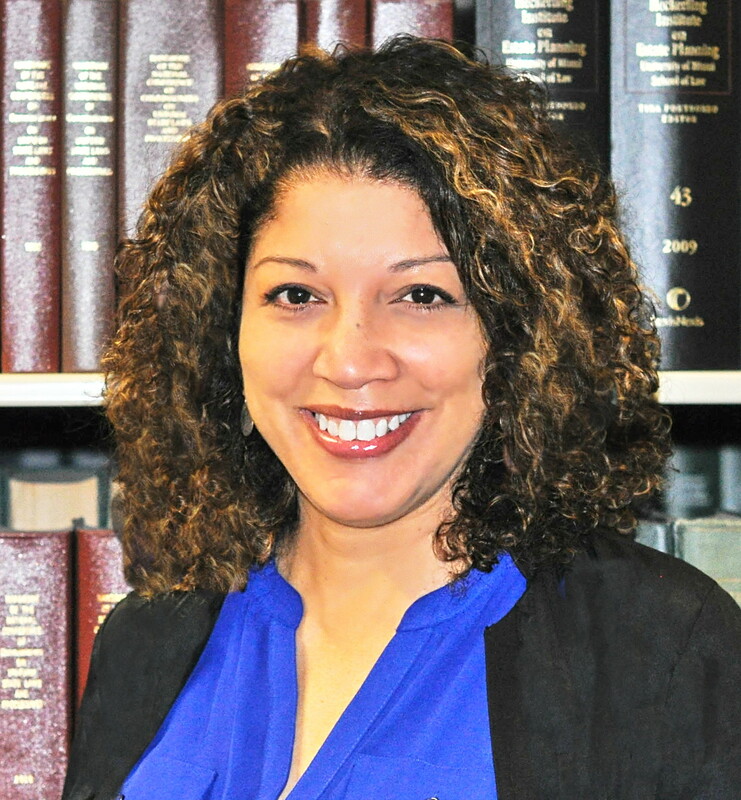 Natalie Reyes is associate director of Training and Technical Assistance at the Center for Court Innovation. Prior to joining the Center, Natalie spent four years in Santiago, Chile, where she provided technical assistance for legal and public policy reform of Latin American criminal and civil justice systems at the Organization of American States' Justice Studies Center of the Americas. One of her specialties is how U.S. pretrial reforms could be applied in the Latin American context. She received a B.S. in Psychology from Fordham University and a J.D. from New York University School of Law. Lauren Ramos is a civil litigator at McGuire Woods in Richmond, Virginia. She holds a J.D. from Vanderbilt University Law School and a B.A. in Psychology and Spanish from the University of Virginia. Mike Spivey has helped lead the law admissions and law career services efforts at Vanderbilt University, Washington University in St. Louis, and the University of Colorado. 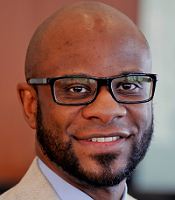 Presently, he is a partner at Spivey Consulting Group, an admissions and employment consulting company. The group includes current and former partners at national law firms, industry executives, prelaw advisors, current and former law school deans, current and former law professors, consumer advocates, and many more leaders in and around the profession. We are so proud to have such an esteemed group supporting our efforts to improve the legal profession. Their advice and insight will prove valuable in the years to come. The NAC is led by David Frakt. Full list of NAC members and their bios. At various times, we've benefited from the help of interns and research assistants. These volunteers have been current students, prospective students, and even people unrelated to the legal profession. Law School Transparency was founded as a Tennessee non-profit by two Vanderbilt law students (both of whom have since graduated) in July 2009. However, the co-founders—Patrick Lynch (Class of 2010) and Kyle McEntee (Class of 2011)—began the initiative well before making the decision to incorporate. On March 14th, 2008, at Vanderbilt University Law School's Admitted Students Day, Vanderbilt took an important step towards improving transparency by releasing a list of where, and with whom, 196 of the 223 Class of 2007 graduates were employed. The list was well-received by accepted students, which at the time included Kyle. Kyle and another prospective student took Vanderbilt's list and added public data to create a spreadsheet, which they then published on various online discussion boards. Some prospectives chose to attend Vanderbilt at least partially because of the list, including Kyle. Shortly thereafter, Kyle and Patrick began discussing the benefits of the list and the possibility of creating a new standard for reporting employment statistics across all law schools. In the summer of 2009, Patrick and Kyle incorporated LST. This was the critical turning point in their efforts to increase law school transparency. It was apparent that law schools would be difficult to sway towards more disclosure and that disclosure was a key first step towards affordable legal education, while also clear that law schools failing to meet a reasonable request for employment data would be the best first step for achieving system-wide reform. The deceptive employment statistics that schools published with the tacit approval of the American Bar Association added an extra layer to what would prove to be a complex system of problems. Channeling Justice Brandeis and his famous quote that "sunlight is the best disinfectant," Kyle and Patrick believed that the unethical system would tumble if exposed. They set out to shape a national discussion about how soaring tuition and excessive enrollments were propped up by deceptive marketing, deliberate choices to keep job statistics from applicants, and blank checks from a broken, though well-intentioned student loan program.